Michigan natives Myles Amine and Max Dean are set to compete in the 2018 NWCA All-Star Classic in Denver, Colorado tonight. The annual event features prominent matchups between premier wrestlers from across the country in an exhibition bout. The dual is available on Trackwrestling.com and begins at 8:30 pm ET. 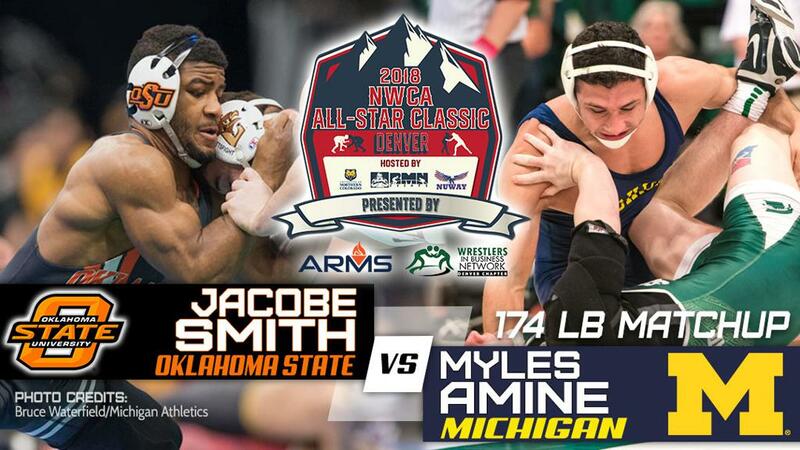 Amine, a junior at the University of Michigan and two-time All-American for the Wolverines, is matched up with Oklahoma State's Jacobe Smith. Smith was a two-time NJCAA Champ before transferring to the Cowboys and placing 8th at NCAA's in 2018. Amine is ranked 3rd across every preseason poll, Smith is ranked in the top-ten at 184 pounds. The two have never met. 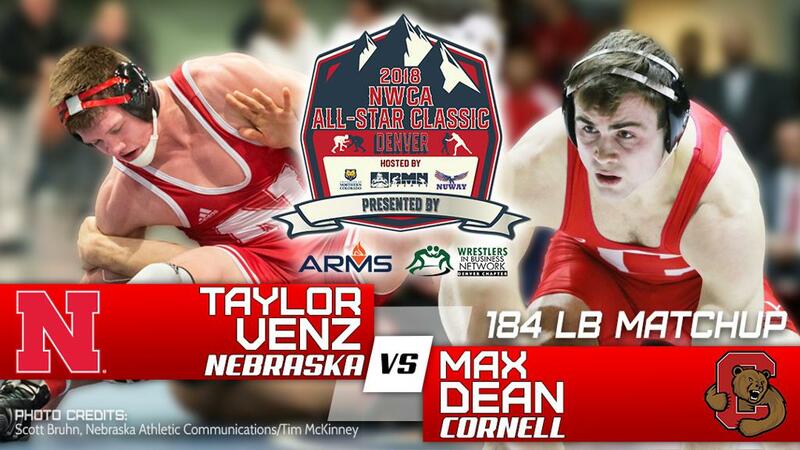 Cornell sophomore and Lowell grad Max Dean is pitted against Nebraska's Taylor Venz. It's a rematch of a bout from the wrestlebacks of the 2018 NCAA tournament, which Venz won 11-6. Venz would go on to place 4th, Dean finished 8th. Both enter the season ranked inside the top eight. For Dean, he will try to keep the sibling streak alive at the All-Star Classic, where older brother Gabe won both of his matches during his Cornell days.